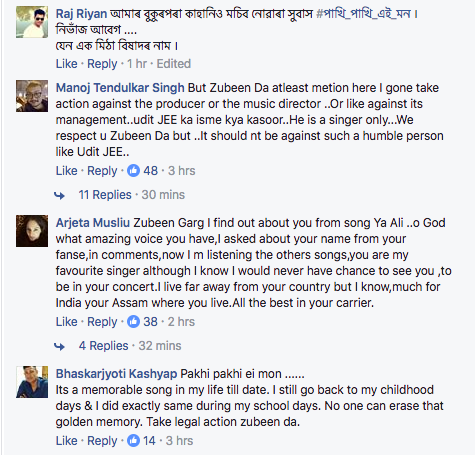 Singing sensation, Zubeen Garg took Facebook to lash out his frustration over a song that has reportedly been copied from one of Zubeen Garg’s timeless classics, ‘Pakhi Pakhi ei mon’. Zubeen’s ‘Pakhi pakhi ei mon’ is one of his most popular songs which was released in 1999. However, a video that was released on February 22, 2017, on YouTube, a song ‘Pakhi Pakhi’ from the movie Tapori, was sung by veteran Bollywood singer, Udit Narayan where the tune and bits and pieces of the lyrics reportedly matched with Zubeen’s song, ‘Pakhi pakhi ei mon’. and at last… wait.. have you noticed the leading girl in that video?.. she is Kalpana Kalita !! Hussain is a digital marketer, avid blogger and technology enthusiast. His focus is on blogging, film-making and tech updates. He likes spending time editing videos, travelling and reading all about what's going on in the tech world. You can find him on Facebook. more about Hussain Ahmed. You mentioned wrong. Pakhi pakhi ai Mon was released in 1999 in the album Pakhi.